To those who know us or had been following this blog, the beach is our second home. There's something so divine about the ocean that lead us to keep coming back to Florida at least once a year. 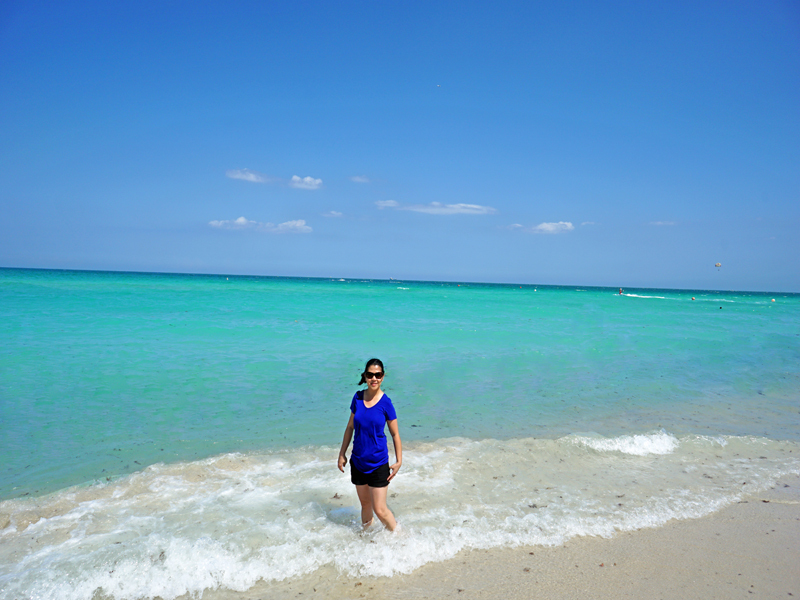 Its because of the gorgeous beach, the white sand, blue skies, and those colorful seashells along the shore. On this recent trip to Florida Keys, we only had a short two days stop over to Miami area. We didn't get to see very much of Miami, but were able to drive around downtown to South Beach. It was super cool to see all the art deco buildings. 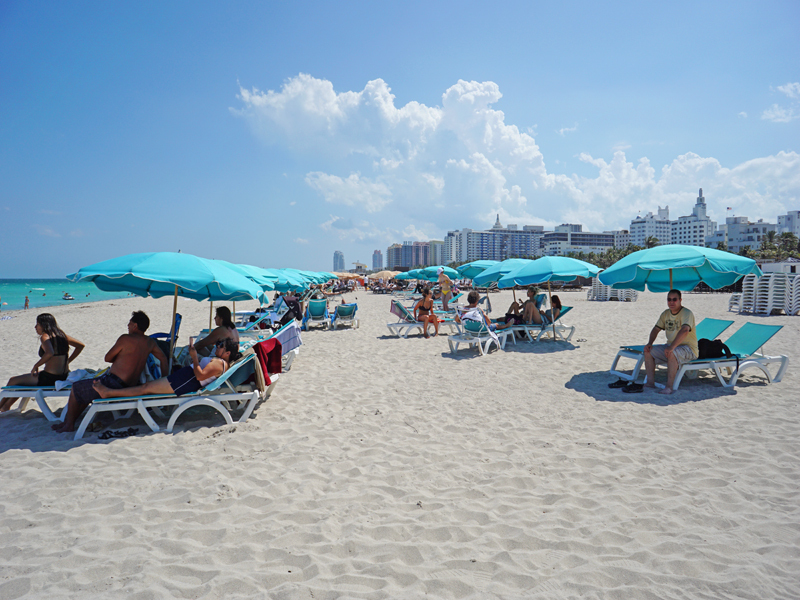 South Beach is a "must visit" when you come to Miami. The area is filled with hotels of all price range and a variety of shops and restaurants. The beach itself stretches on for miles and the sand is quite nice, though not as soft as some of the other beaches we have been to (such as: Destin and Tampa Bay area). Also it was quite disappointing to see that the beach was filled with seaweeds. It really spoiled the look of the beach and the enjoyment. But overall, we still had a great time spending our afternoon by the beach. 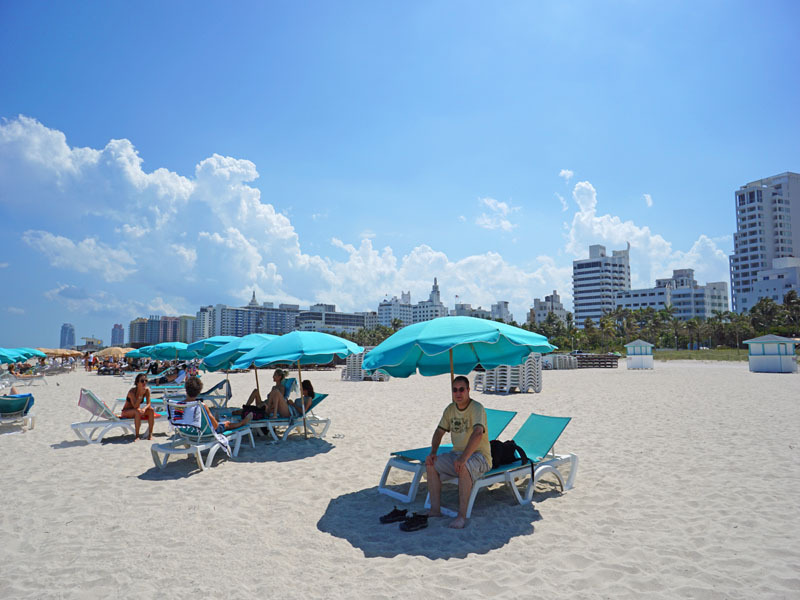 South Beach Miami is as iconic as Venice Beach on the West Coast. The beach is huge and has all the amenities you would expect. There are beach chairs for rent, they cost $20/hour for beach chair and beach umbrellas. White sand, warm ocean and life guard safety. 1. Most of the main attractions in Miami Beach are within walking distance of each other -- like the Bass Museum and Wynwood Art Walls. Take time to explore the downtown and wear sunblock and comfortable flip flops. 2. Parking can be tough especially on weekends. However, the Miami Trolley offers free transportation options serving some of the most popular parts of town. 3. Expect many more people to speak fluent Spanish than in most parts of American. Don't assume they're foreigners just because they do. 4. Wear hat, sunblock and stay hydrated while on the beach or when you go for a walk. 5. There's plenty of restaurants to choose from if you are craving for Cuban food. I highly recommend Yuca restaurant on Lincoln road offers Nuevo Latino cuisine with a focus on modernized Cuban dishes. The location, food and service is excellent! I was completely mesmerized by the turquoise green waters on this side of the Atlantic Ocean. Have you been to Miami? 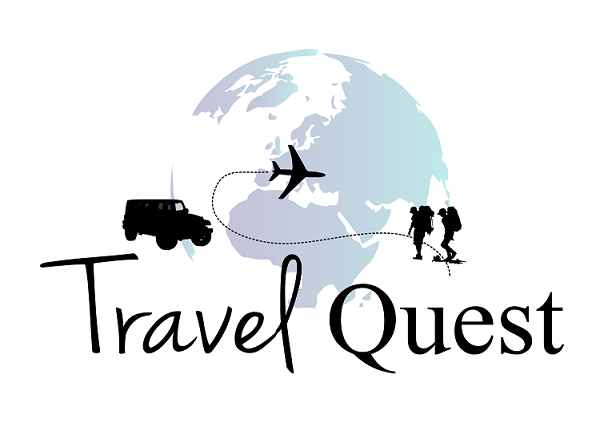 Tell us your favorite vacation spot or if you are planning to where you want to go? Also, don't forget to share this post and follow us for more travel ideas. Wow love the photos! Looks so beautiful! Only downfall is the price for the umbrellas and chairs :( In Costa Rica it was $7 to $10 to rent them for the day. Everything in Miami is expensive, I remember we bought a Popsicle on a store by the beach and its 5 bucks!! No wonder why they don't put the price sign rip-off! What an absolutely beautiful looking beach, it has been many years since I went to Florida but I would 100% love to go back again one day. What a beautiful beach, time to make plans for our family summer vacation. 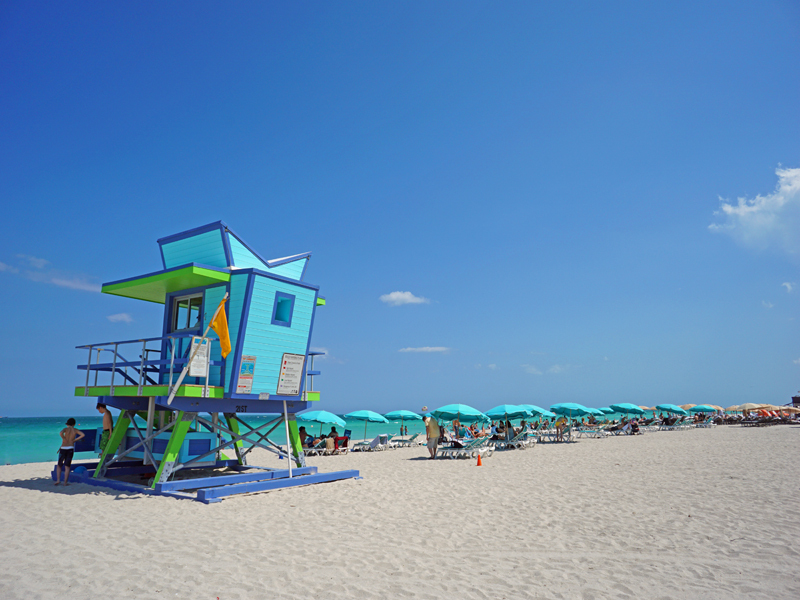 Miami beach is on top of our list. I love Miami Beach! I need to go back there! Thanks for all the tips! I miss that beautiful ocean! Miami is so glamorous and their beaches are the same way! That water looks so cool and inviting and would love to visit that beach! Look at all that beautiful blue! That sky and clear water look incredible. I am so jealous of you right now. I have never been to Miami yet. But there beaches look amazing. Your pics are fabulous. I love South Beach. I hope to visit there soon. What a gorgeous white sand beach! I would be happy basking myself under the sun and enjoy the summer here. Fabulous! Florida has so many beautiful white sand beaches no wonder why they call it the Sunshine State. We have never been to Florida, well I did once but that was to Disney. The beach looks beautiful and I can see tons of fun in the sun. I always love being on the beach! I've never been to Miami before. One day we might have to go. I like that white sand. There is something wonderful about being able to be on a beach isn't there. I would love to relax on that beach, it looks so clean and the sky so blue. 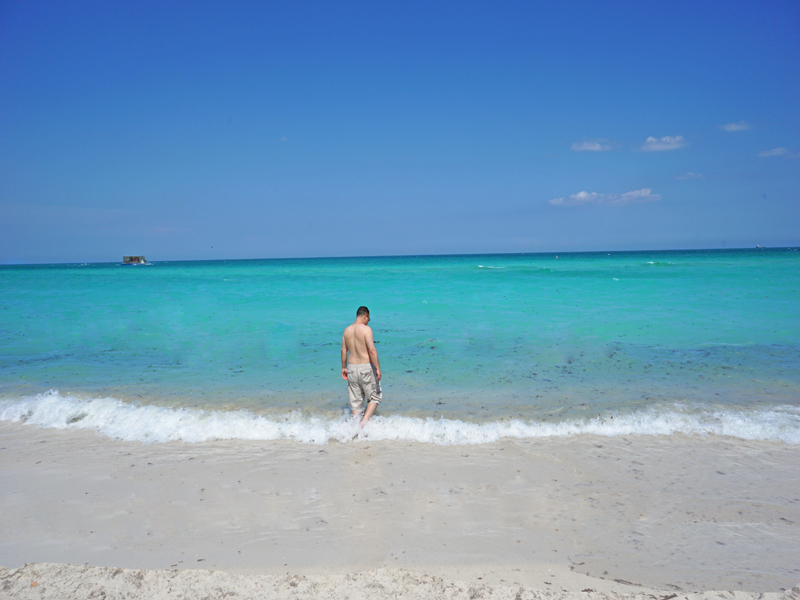 I need to go back to Miami and go to the beach. This is our first visit in Miami and we like it here. The downtown has so many free attraction for everyone. Though the parking and food are expensive. 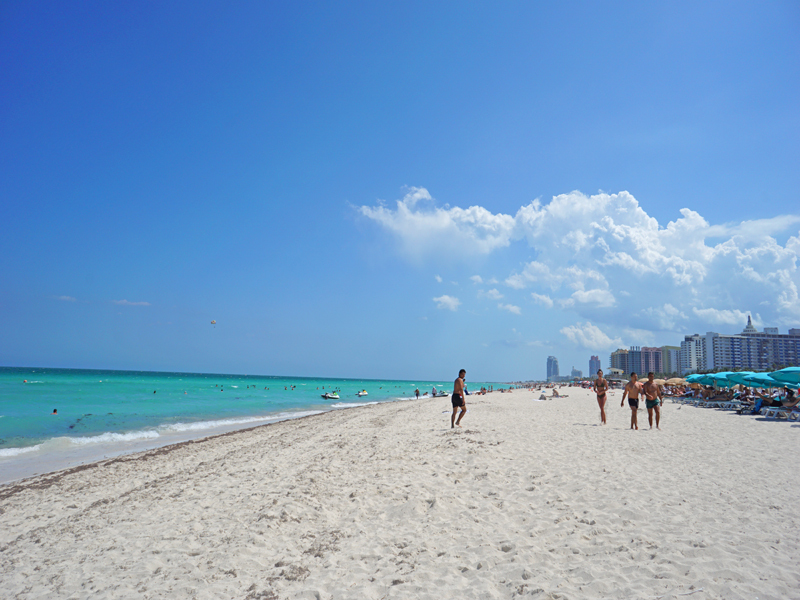 I have been to Miami a few times that I have not checked out any of the beaches. This one looks absolutely gorgeous. If I ever get down to Miami again I definitely need to go here. Hopefully you will be able to visit Miami again anytime soon. We have never been to Miami but it looks beautiful out there. We have been in Pensacola and Orlando and wish to go back there someday. I love Florida they have many beautiful white beaches and lots of attraction for the whole family. We always have a blast every time we go on vacation here. I love the state of Florida. I try to visit as much as possible and hope to return this coming winter. Winter is the perfect time to visit Florida the weather is tolerable and I love those birds and sea creatures that migrates during winter. Florida state is known for this beautiful beaches. You can't compare it to any other beach across the country. Wow, what a beautiful beach. I have never been to Florida yet but it's definitely in my bucket list. Florida is a must visit beach in Americas the panhandle is my favorite. Oh my gosh, the water looks so idyllic I would love to visit South Beach one day, and definitely grab some Cuban food. I like authentic food it's fun trying different cuisine. Wow, what a beautiful beach! I haven't had a chance to visit Miami I sure hope to do so this year. My sister lives in Florida and she loves it! I've never been to Miami. I have always wanted to get there one day. The water looks really pretty. The sand and the water looks so gorgeous! I have never been to Florida but ave heard wonderful things of the beaches there, these pictures make me want to go for sure. Hope you will be able to go on vacation to Florida soon. It is a beautiful beach destination. I love the beach and would live by one if I have the opportunity to do so. We have been to Miami before and it is absolutely beautiful there. Miami beach looks really gorgeous and inviting. The sands look so pristine and unspoilt. Hope to get there some day to experience it personally. I love the southern part of Florida. I would not mind a trip back there! The sand and water looks incredible there! I have actually never been to Florida and there are so many places I would love to visit. Miami sounds like there is a lot to do there in addition to the beaches as well. 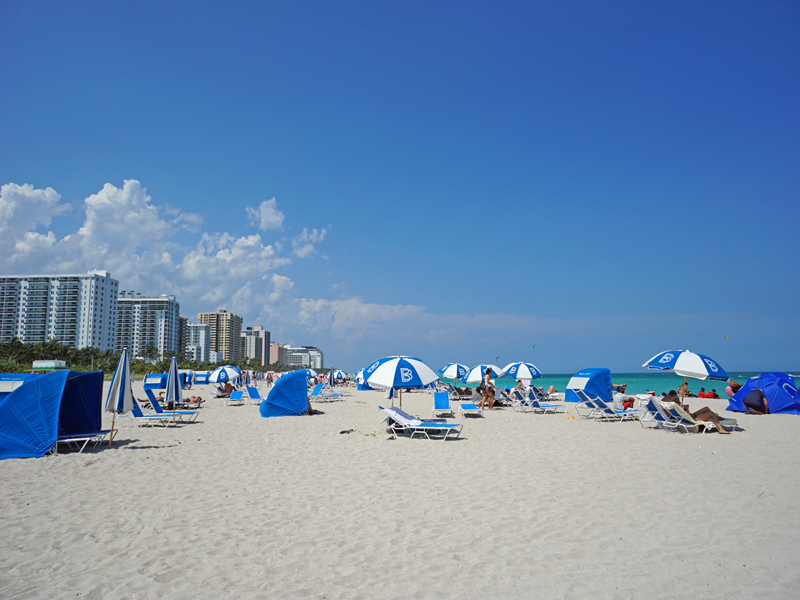 Miami is very popular beach plus everyone must visit Florida at least ones in their lives. It is a very beautiful state to go visit with. OMG look at that sand and water!!! I need to get to South Beach asap! These are amazing photos! 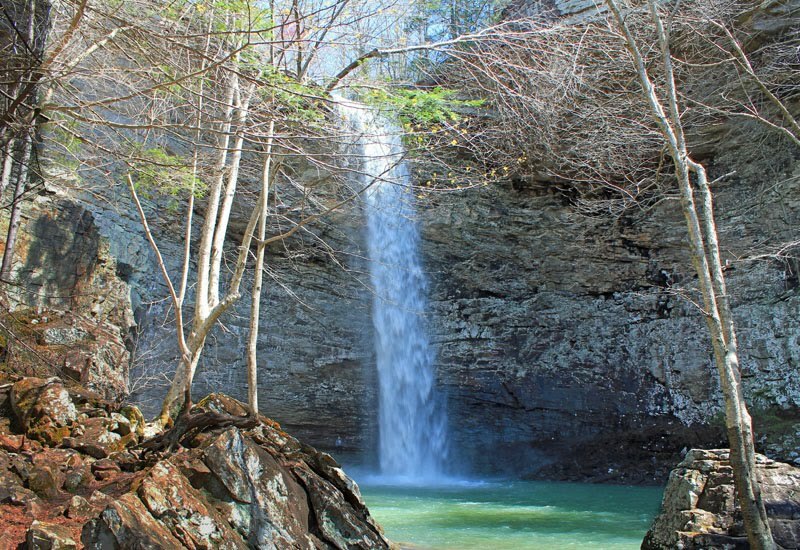 I can just imagine the warm sun, crisp clean air, the cool water, etc. I've been to Miami but only spent a brief time on the beach due to the rain. These pics make me happy. I'm glad it did, beach is my happy place as well. We are actually planning a trip out that way in December :) we can't wait! We are over in Clearwater, and I have been meaning to make a trip across to Miami. 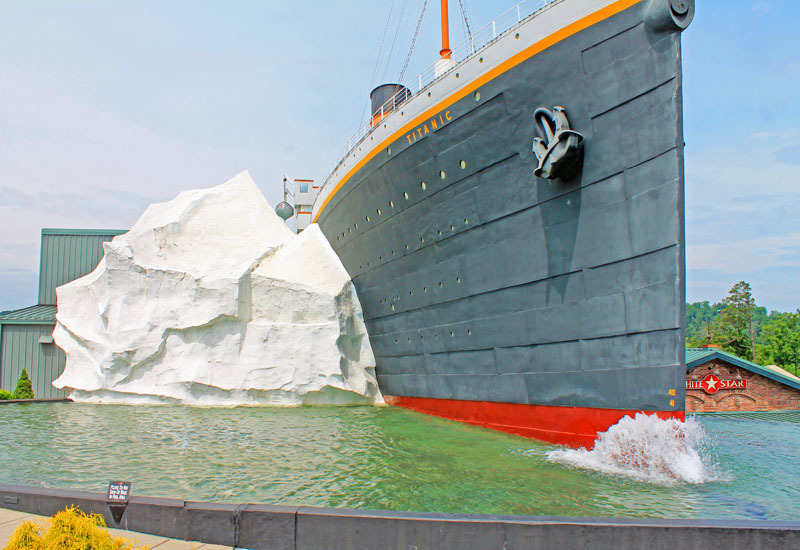 We want to visit the Ice Cream Museum and after seeing these pics, the beach will be a must! Goodness gracious, those blue waters are dreamy. I've never seen such a beautiful blue beach before. We sure don't have any with this color around here. I've always wanted to visit Miami.